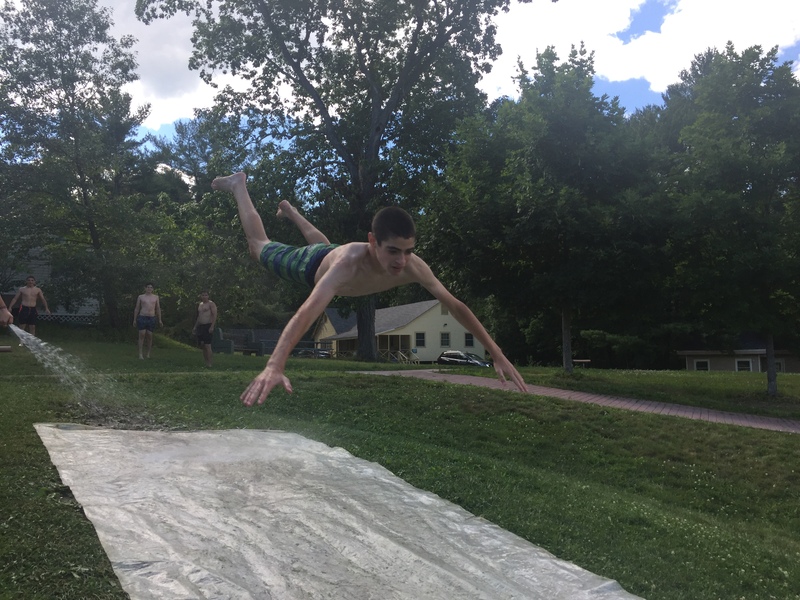 We’re back again after our second weekend at Machaneh (Camp) Yavneh. On Thursday, Maalot had Erev Middle School (Middle School Night). We dressed up in school colors, took a gym class, participated in a spelling bee, engaged in lively arguments in debate club, and played Bar Mitzvah party games (including classics like Coke and Pepsi). Afterwards, we went to sleep already looking forward to the oncoming Shabbat. 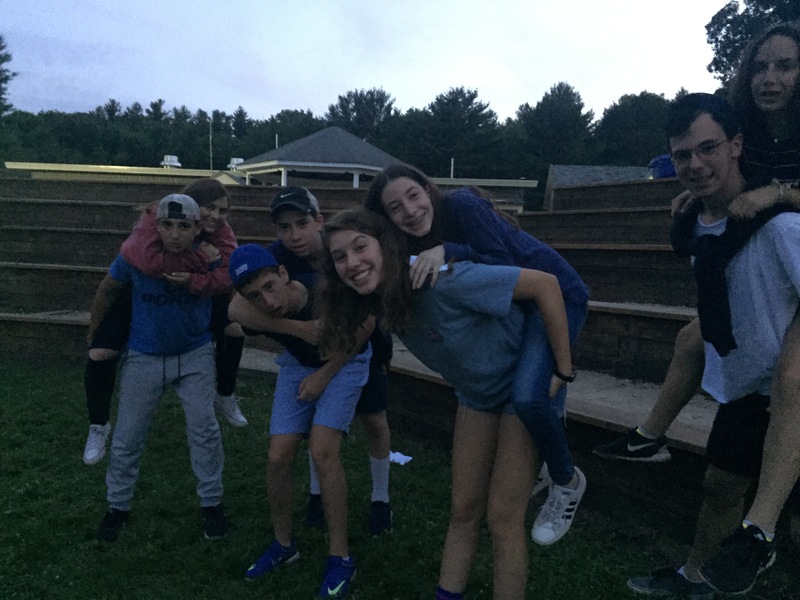 On Friday night we began our Shabbat celebrations with a rousing round of ReleSh (ruach lifnei Shabbat, or pre-Shabbat spirit) and sang some of our favorite Yavneh tunes. Due to rain we once again held Kabbalat Shabbat in the Ben Zvi, instead of our usual location of the outdoor amphitheater, called Gilboa. Our beautiful service concluded with Kiddush, and then the entire camp moved into the Chadar Ochel (dining hall) for a delicious Shabbat dinner. This week, the menu included chicken noodle soup, mushroom bourekasim, chicken with sauce, deliciously flavored rice, and cake for dessert. We ended Friday night with some softer Shabbat songs, then Kerem led upper camp in some louder, more energizing zemirot. Maalot then moved to Sukkat Bogrim (the Brown Sukkah) for our aydah’s (age group’s) tisch, a traditional circle of song and story sharing. The next morning, after davening, the chanichim (campers) had time to relax and spend time with their friends. In the afternoon, we had an interesting sicha (conversation) with Rabbi Rami Strosberg on how to connect with our inner essence. Friday night ended with Havdalah and rekudei am (all camp dancing), and then it was off to sleep. Maalot had an eventful Sunday. In the afternoon, we began our first Zimriyah (camp-wide song competition) practice, learning the name of our Shir Yisraeli (Israeli song), which is Et Kol Ma Sheyesh by Shlomi Shabat. At night, we had an educational peulat erev. This coming week, we’re looking forward to an overnight at Acadia from Tuesday through Thursday, and to continue practicing for Zimriyah.